One act of negligence, one product that doesn’t work, or one assault can mean death, a lifetime of pain, or a long recovery. Businesses and individuals who cause this harm should be held accountable for physical pain, emotional suffering, the inability to earn a living, and medical bills. In some cases, it is not even necessary to prove fault—just that an accident occurred and caused you harm. At McGowan, Hood & Felder, LLC, we have grown from three founders to nearly 20 lawyers. Our Rock Hill personal injury attorneys are dedicated to guiding clients through this traumatic part of their lives. Through intensive discovery, artful negotiation, and persuasive legal arguments, our firm has achieved a positive reputation for helping clients throughout South Carolina get justice. Vehicle accidents. We represent drivers, passengers, and pedestrians who have been injured in collisions involving cars, trucks, and motorcycles. We understand how vehicle accidents happen and what injuries are common. Our firm understands how to prove fault in court. Medical malpractice. Our lawyers are experienced in holding medical providers responsible when they fail to provide proper care. This includes diagnsis errors, emergency room and surgical errors, improper treatments, failure to obtain informed consents, and other acts of negligence. Nursing home negligence and abuse. Seniors and families place their trust in nursing homes. When these homes are negligent or abuse the senior in any way, we work to hold the home and workers accountable. Dangerous drugs and devices. Many drugs and medical devices can cause patients to suffer long-term harm that may be incapable of repair. The businesses that make these products have a duty to place safety before profits. Irresponsible businesses and healthcare providers who fail to properly protect and advise patients should be held liable. Premises liability. When you buy a retail item or use the services of a business, you have a right to expect the owner will have taken proper safety precautions. Floors should not be slippery. Lighting should guide customers and passersby. Security should help those rightfully on someone’s premises. Whatever the reason for a slip and fall, a dog bite, or other harm, we have the experience needed to get results. Construction site accidents. Employees, contractors, and people passing by a construction site rely on the site supervisor to protect them from harm while work is being done. Items should not fall. Floors should be level. Machinery should work. When harm occurs, we explain when a lawsuit is appropriate and when workers’ compensation claims should be brought. Workers’ compensation. 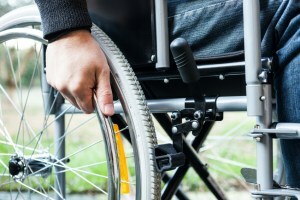 Injured workers are normally entitled to a significant percentage of their lost wages while they cannot work and if they are partially or fully disabled. Employers and their insurance companies should also pay a worker’s reasonable medical bills and, when justified, vocational rehabilitation costs. Defective products. If electronics fail, machinery malfunctions, toys cause harm, or other product defects occur, litigation may be an answer. Our lawyers are adept at brining product liability claims against every business responsible. If you have been injured due to another’s negligence, our Rock Hill personal injury attorneys demand all the damages that apply, including lost wages, medical bills, pain and suffering, and the wrongful death of a loved one. This can also include demanding punitive damages for egregious wrongs. Additional damage items that may apply include scarring, disfigurement, and property damage. The Rock Hill personal injury lawyers at McGowan, Hood & Felder, LLC, have been helping clients get justice for more than 20 years. We compassionately answer all our clients’ questions while fighting aggressively with insurance companies and defense counsel. Our attorneys prepare each case so it is ready to go to a full trial. For reliable trusted advice, please phone us at 888-302-7546 or fill out our contact form. We offer free initial case evaluations from our Rock Hill, South Carolina office.